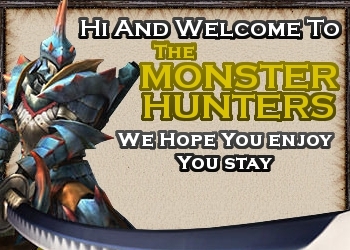 Hey I'm new and I got monster hunter freedom unite 3 days ago , I guess I'm still new but I've completed the Village Elder Quest in 2 days . It's my first time playing though . I'm hoping to get MHP3rd soon . Hi welcome, could you please seize down your signature a bit? And if noeone here knows what you are seeking for then you are seeking for something that doesnt exist. so whats up with your pics r you like famous or something in malaysia? Welcome to our forum! Hope you enjoy your stay! Remember to follow the rules!